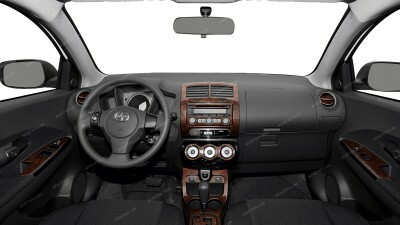 Scion xD 2008, 2009, 2010, 2011, 2012, 2013, 2014, Main Interior Kit, 24 Pcs. Scion xD 2008, 2009, 2010, 2011, 2012, 2013, 2014, Exterior Kit, Full Interior Kit, 7 Pcs. Scion XD 2008, 2009, 2010, 2011, 2012, 2013, 2014, Stainless Steel Pillar Posts, 4 Pcs. Scion xD 2008, 2009, 2010, 2011, 2012, 2013, 2014, Basic Exterior Kit, 4 Pcs.